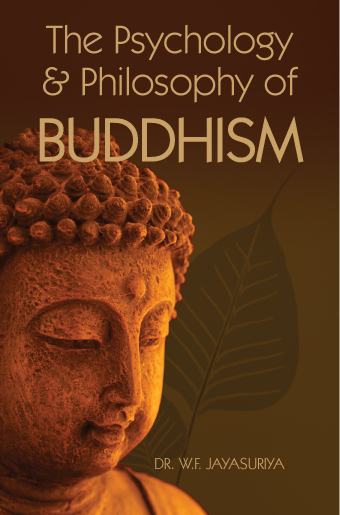 Author: Jayasuriya, Dr. W. F.
Dr. Jayasuriya’s book on the “Psychology and Philosophy of Buddhism “is the work of an ardent and learned Buddhist, who has made a special study of the Abhidhamma or the “higher philosophy” of Buddhism as a layman. He has culled much of his material from the well-known (but ill-understood) Abhidhammattha-saṅgaha and ancillary works and has tried to give a systematic and comprehensive account of these aspects of the philosophy and psychology of Buddhism. He has throughout endeavored to compare and illustrate his work with the findings of modern science and has succeeded on the whole in presenting a valuable informative and useful treatise on the subject. The author says that the contents of this book originally consisted of a series of radio talks, which is now compiled in book form. It is written for three classes of readers, viz. : (i) those with no knowledge of Buddhism; (ii) those who have some knowledge of it; and (iii) those who have knowledge of modern philosophy and psychology. This eBook is in PDF format, which can be read on any eBook reader which can display PDF files, and on computers.PDF eBooks are not printable. See our complete catalog of eBooks.